I’m quite paranoid about the effect of wood dust (including MDF dust) on my health and that of my family. Bill Pentz has some good information on the subject here. Some time ago I bought an NVD750 in Axminster’s 40th Anniversary promotion for £399.95. It came in a similar package to this one with the mobile base and a selection of hoses, stainless steel pipes and nozzles. I have a relatively small workshop in a single garage so I wanted a single extraction system that could cater for both the high pressure low volume needs of my power tools (including router, circular saw, jigsaw etc) and the high(ish) volume, low pressure needs of my machines (bandsaw, planer thicknesser etc). For flexibility i needed to be able to connect to both 32mm and 100mm hoses. The NVD 750 provides 100mm and 51mm options and comes with a 32mm hose with 51mm adaptor attached. A 51mm blanking cap is provided which blocks either the 100mm (with push on 100mm to 51mm adaptor) or the 51mm inlet, depending on which you want to use. 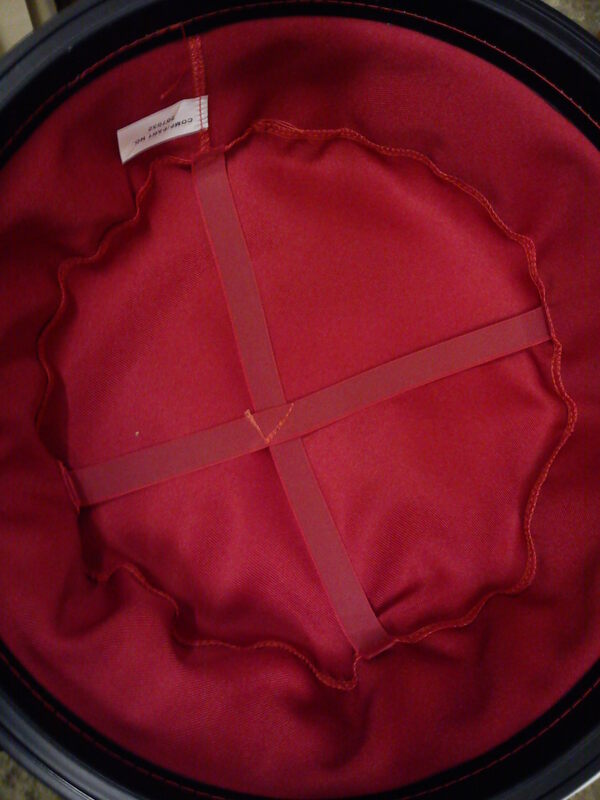 The cap is retained by a length of wire to avoid losing it. 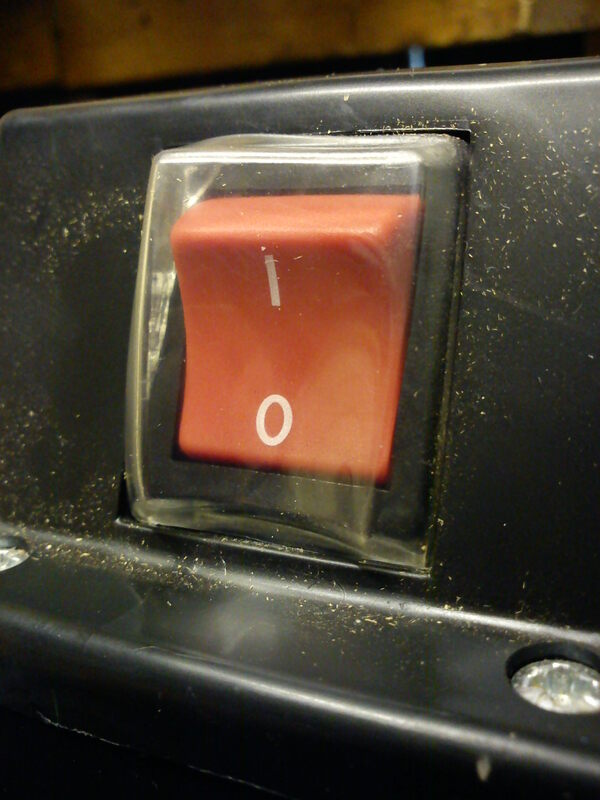 I am also pretty paranoid about wood and MDF dust and its impact on my health and that of my family, so whatever I chose had to be able to filter very fine dust in the 0.5 micron range rather than just throwing it out of the exhaust into the air. There are two filters fitted as standard – a red “Filtrex” primary filter and a secondary “Permatex” filter. 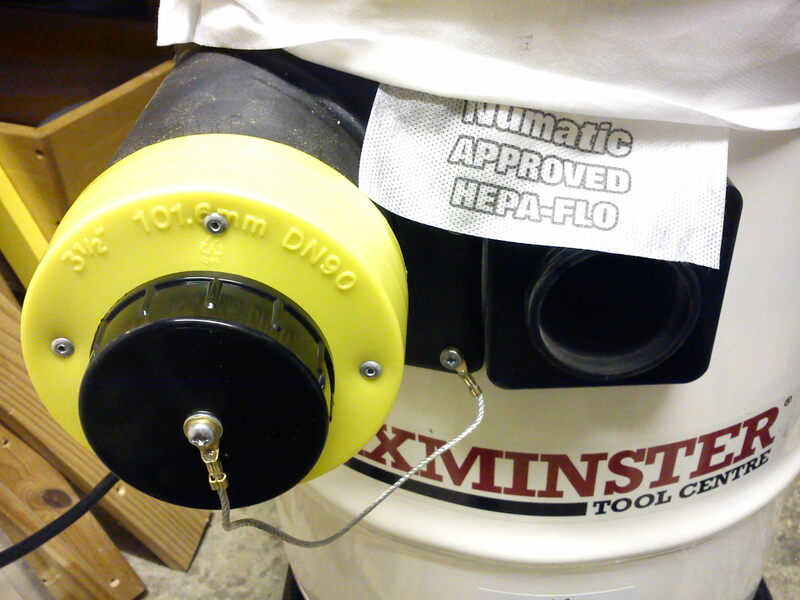 The hose size has no relation to the filtration level, the HEPA flow bag can be used with either hose but is only a filter and not a collection bag with the larger hose. 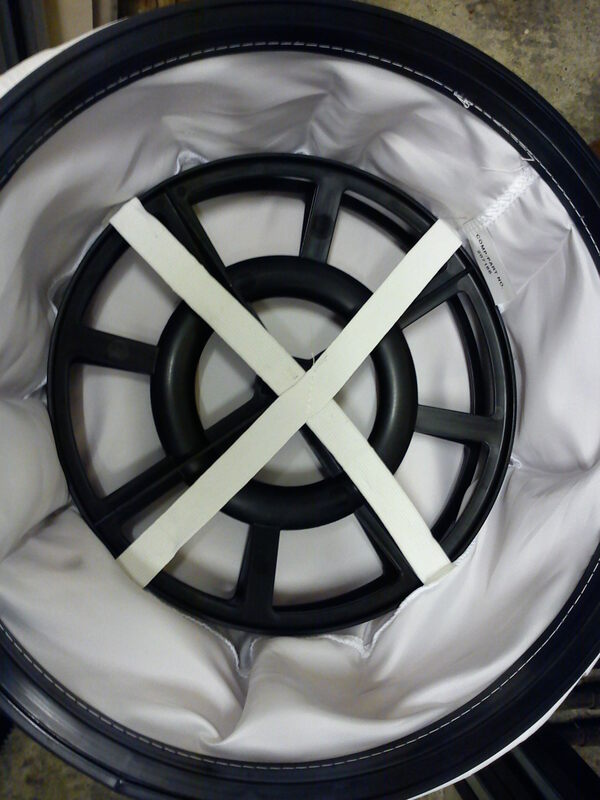 The central opening (51mm/32mm hose) has to be used if you want to use the HEPA bag as the collection bag. 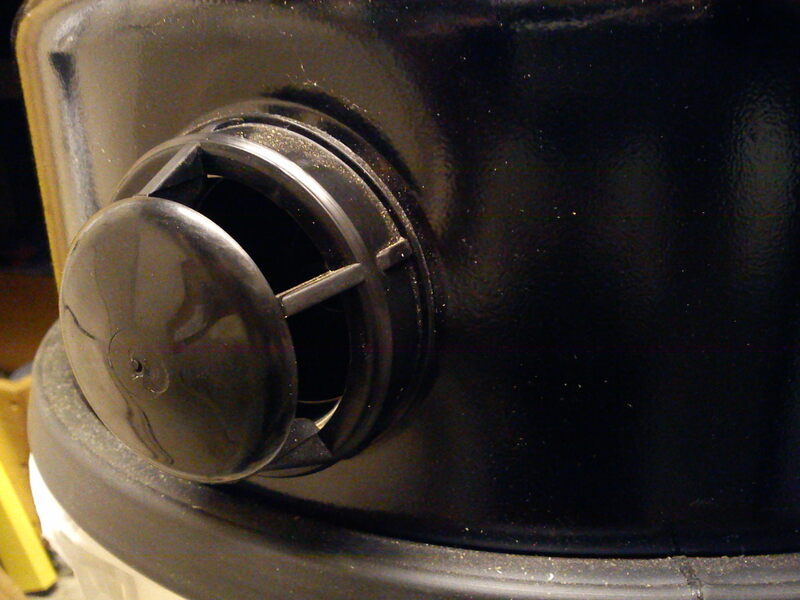 With the side opening (100mm hose) you still use the filter but the waste collects in the drum. 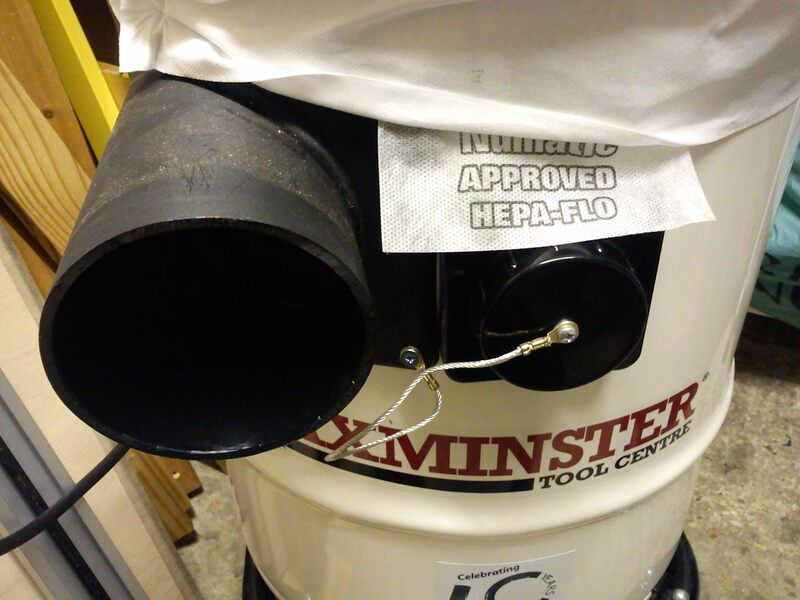 With the HEPA flow bag and 2 head filters the vacuum captures 98.7% @ 0.5µm and 96% @ 0.3µm. With the addition of the HEPA module the filtration is 100% @ 0.5µm and 99.95% @ 0.3µm. 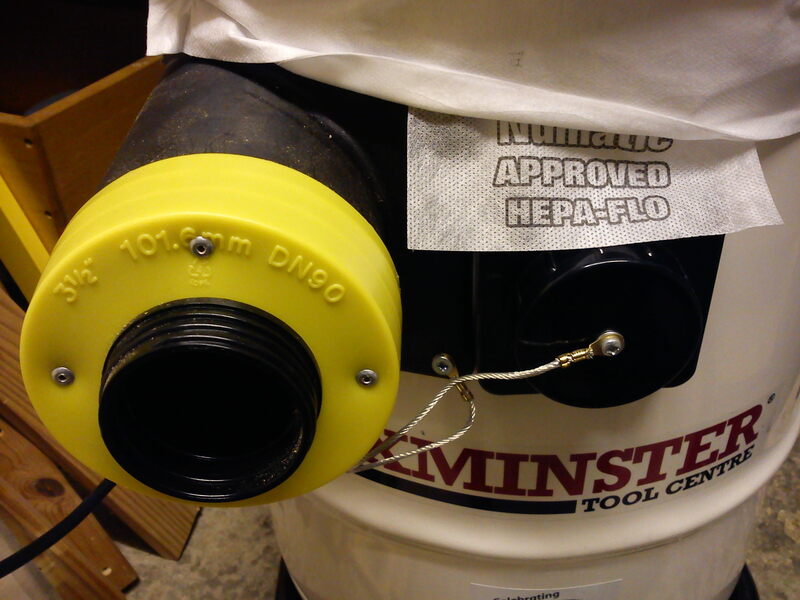 Axminster still recommend using the HEPA flow bag with the HEPA module, if it isn’t the filtration levels will be slightly reduced from the levels listed below and the life span of the other filters will also be reduced. I have not yet purchased the HEPA module, but I think I definitely will. 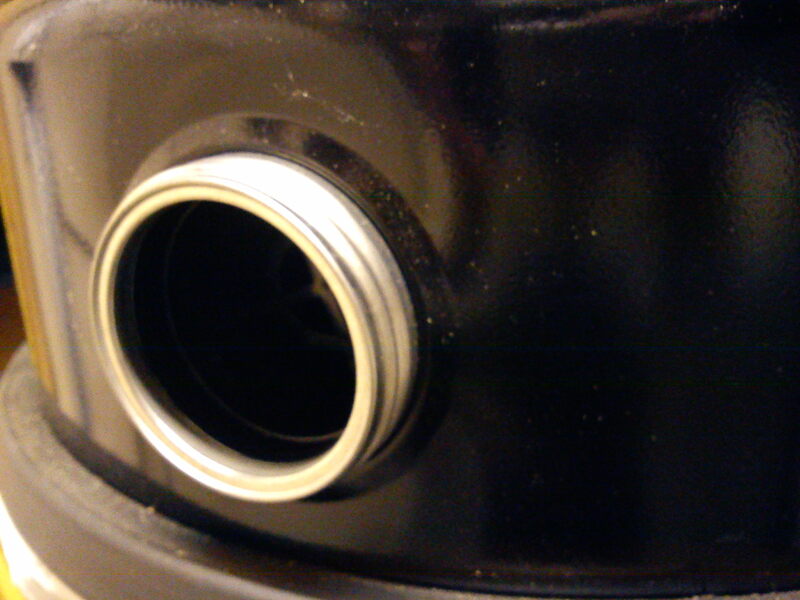 It’s also worth noting that if you’re paranoid about the possibility of extremely fine dust passing through the filter, out of the exhaust and into the air, it is possible to vent the exhaust outside through a 51mm hose, which screws on to the outlet in place of the deflector that comes fitted. The first thing that strikes me about the noise of this vacuum is that most of it comes from the air rushing into the end of the hose, rather than from the motors or exhaust of the vacuum itself. I don’t have a decibel meter but I would say this is no louder than my domestic Dyson DC07 and if the noise from the end of the hose wasn’t there I think it would be quieter. I’m quite sensitive to noise, so I’ve always found it more comfortable to wear ear plugs and/or defenders when running the Dyson and my router and this is unlikely to change. I had thought before I bought the NVD750 that I would be able to choose whether to run one or both motors, but this doesn’t seem to be possible. The price – particularly for the HEPA module! 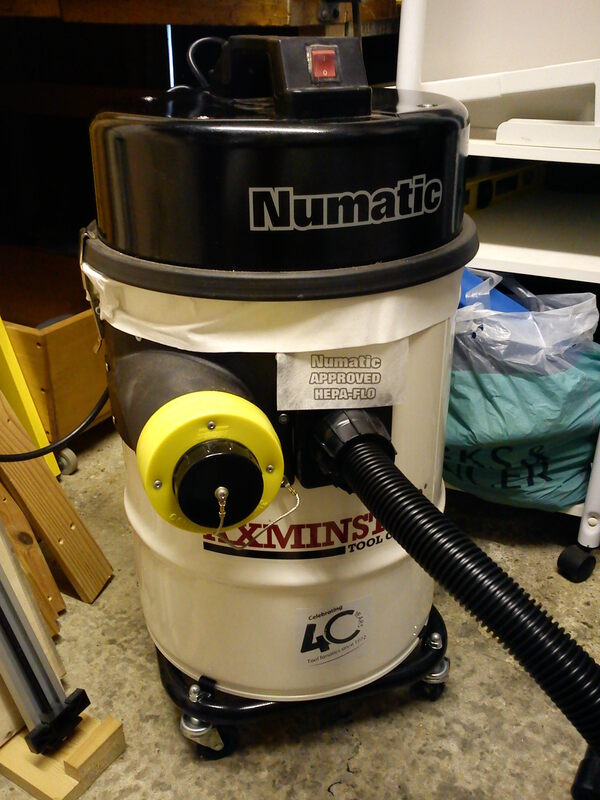 This entry was posted in Dust extraction, Purchases, Reviews and tagged 0.5 micron, Axminster, dust extraction, filter, HEPA, numatic, NVD750, review, shop vacuum, workshop vacuum extractor. Bookmark the permalink. 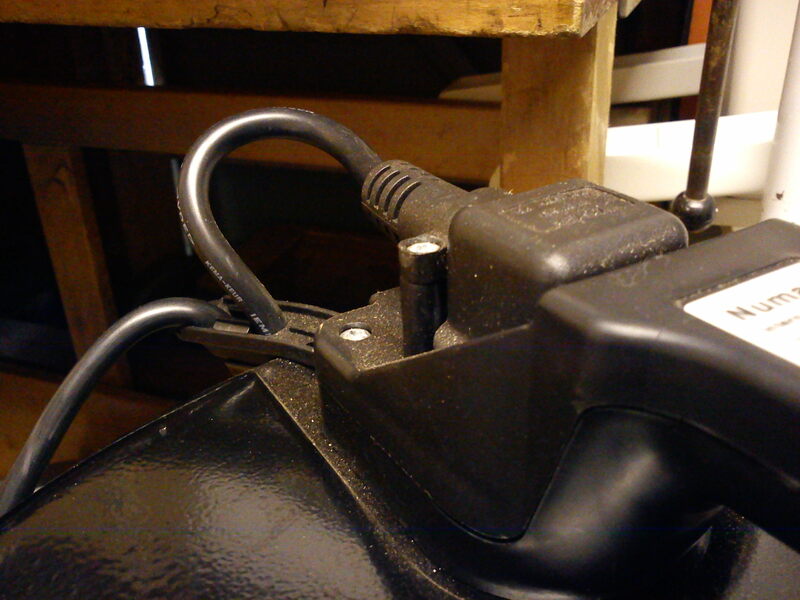 This is an excellent report and useful as I have just upgraded to the NVD 750 for the chippings side from bandsaw and P/T, as well as the Festool CTL26 for the general shop vac and hook up with tools. 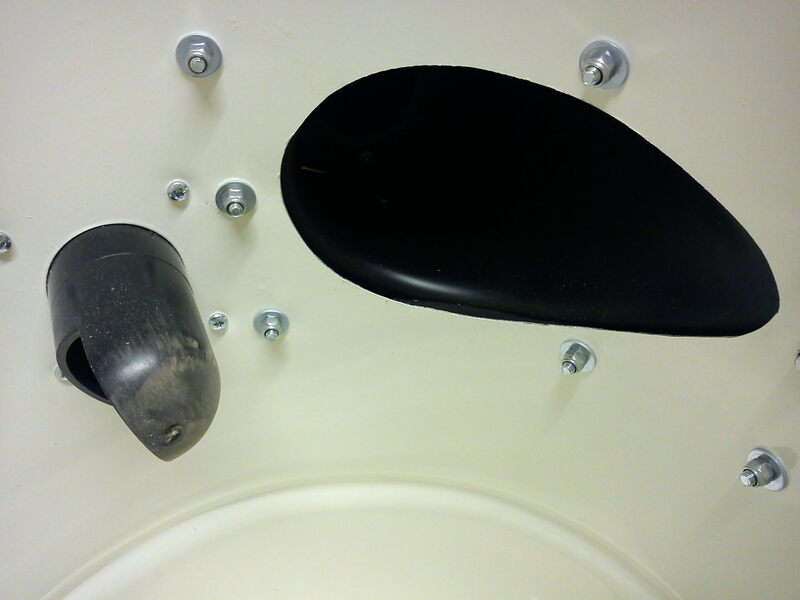 With the addition of the Microclean 750 hanging above the workbench, I feel that the harmful dust should be be catered for, but I also use an Airace half mask (Darth Vader) when I am actually using machinery and sanding. For anyone with breathing problems like asthma, which I have, you do need extra care. Just a word of thanks for this report. I have the NV750, and prompted by your experience, I decided to have a look at my arrangement. OMG! I had completely misunderstood the way to fit the filter. I was using the central hose flange (for fine dust removal) and had fitted the (NVM 4BH) bag connection mount onto the inside of the central hose flange. 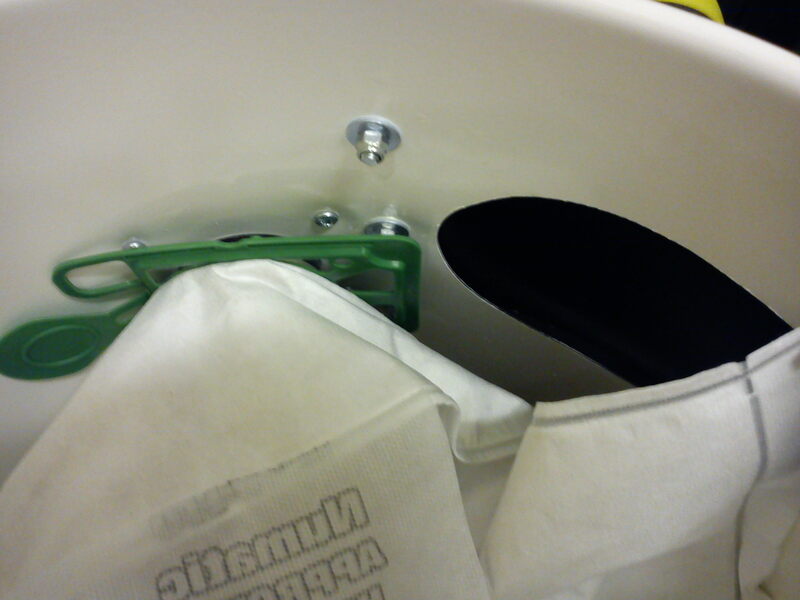 BUT … I had also cut the bag in half (as for removal of shavings and chippings through the side entry flange). So the bag wasn’t being used as a collector nor as a filter. The top filter assembly was doing all the filtering, and was clogged with dust … and I had wondered why the machine was running warm … and I have been using it like this for ages. God knows how much dust was going through. At least I had connected the large hose to the exhaust outlet, which was taken outside the garage! So *thanks again* for saving me from my own ignorance. The instructions are a little confusing, but I have no idea why I mixed up the two sets of instructions. Did you buy the HEPA module? Do you recommend it? Excellet report. I too have been very confused about the levels of filtration given with and without the HEPA module. I’m surprised all the specification are so hard to find.